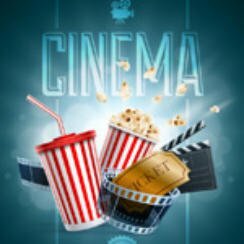 It’s that time of the week when we take a quick look at what movies are hot at the UK cinema, these figures are for UK Box Office September 1 2017. Tom Cruise continues to pilot American Made well as it stays number one for a second week with cinema takings of £968,068. Warner Bros must be delighted with Dunkirk’s performance as it stays second taking £935,980. What’s even more impressive is that’s after seven weeks on release and gross to date figures of £53,735,483. Only one new film makes the top ten this week and it’s the horror/thriller The Limehouse Golem, entering at nine with takings of £371,412. Third and fourth places are seperated by a very small margin. The Hitman’s Bodyguard & The Emoji Movie taking £718,328 against £716,139 respectively. Looking for a Blu-ray to watch at home? One of the new cinema offerings this week is IT, based on the Stephen King story, more on that on Thursday. UK Cinema Charts August 17 2018: Is Disney’s Christopher Robin This Week’s Number 1?